OEM manufactures are often known for launching variants of the same smartphone. One of the OEMs famous for doing this is Samsung. Samsung is known as the company leading the smartphone revolution. Samsung’s most famous line of smartphones is the Samsung Galaxy. The latest phone is this series is the Samsung Galaxy S5, and as history proves itself, Samsung has also launched various variants. One of these variants is the Samsung Galaxy S5 Active. 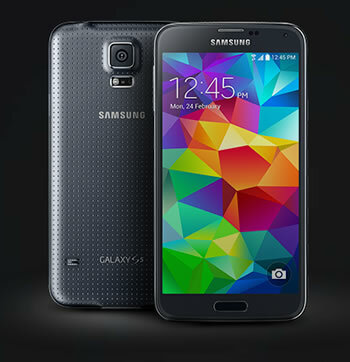 The Galaxy S5 Active is rugged variant aimed to be more outdoors and sport friendly. 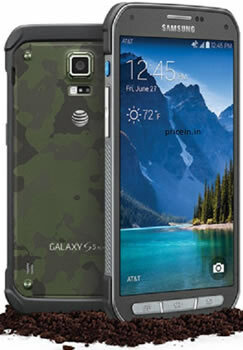 The S5 Active is quite similar to the S5 in design and hardware, but does make introduce a few changes in order to be able to hold up its claim of “Active.” However, the Galaxy S5 Active is only available in the United States exclusively from AT&T. Both the S5 and S5 Active have a 5.1 inch Super AMOLED capacitive touchscreen with a 1080 x 1920 pixel resolution, which is protected by Corning Gorilla Glass 3. However, the S5 Active is slightly bigger than the S5, this is mainly because it has added bumpers and reinforced edges, which protect it from accidents and falls among other things. Samsung has also replaced the capacitive touch keys found on the regular S5 with physical buttons. In terms of hardware, both S5 and S5 Active are powered by the Qualcomm Snapdragon 801 with a Quad-core 2.5 GHz Krait 400 CPU, Adreno 330 GPU and 2 GB RAM. While the S5 is available in two storage variants: 16 GB and 32 GB, the S5 Active is only available in 16 GB. However, both allow expandable storage up to 128 GB. The phones have a 16 MP primary camera with a 2 MP, 1080p front facing camera. However, the S5 can take pictures with a 5312 x 2988 pixel resolution with its back camera, whereas the S5 Active can only take pictures with a 3456 x 4608 pixel resolution. The S5 also uses a hybrid autofocus system that uses standard auto focus with phase detection autofocus, which means that the camera auto focuses in upto 0.3 seconds, which is faster than most phone cameras. Both S5 and S5 Active are water and dust resistant. They have an IP67 rating, which means that they can be submerged in 3.3 feet of water for up to 30 minutes. However, the S5 Active also has a military-standard 810G rating for resistance against fungus, acidic atmosphere, ballistic shock and more. The S5 Active has gotten rid of the fingerprint reader, which in the S5 is placed on the home button. With the USB interface, the S5 also has an MHL interface, which allows connecting an HDMI cable to a TV. Both S5 and S5 Active have a heart rate monitor that syncs with an updated S Health app. The S5 Active also comes with an exclusive "Activity Zone" app, which contains a barometer, compass, and stopwatch. The S5 Active also adds an "Active Key" to the side of the device, which can be configured to launch certain apps on short and long presses. By default, the button launches the Activity Zone.